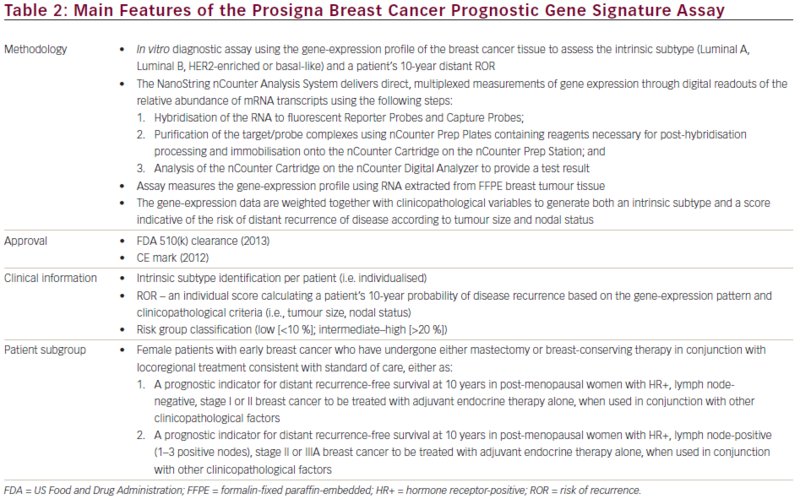 The Prosigna® Breast Cancer Prognostic Gene Signature Assay is based on the characterisation of 50 genes relevant to breast cancer biology and provides intrinsic subtype identification based on the individual tumour biology, a prognostic risk of recurrence (ROR) score and a risk group classification, for each individual patient tested. The Prosigna assay is indicated for post-menopausal women with early-stage hormone receptor-positive breast cancer with or without nodal involvement. Running on the NanoString nCounter® DX Analysis system, which allows direct digital counting of target molecules, the assay offers a simple, reproducible and reliable method to profile many genes simultaneously with high sensitivity and precision. The Prosigna Breast Cancer Prognostic Gene Signature Assay has received 510(k) clearance from the US Food and Drug Administration. It has also received a CE mark and is available for use, among other geographical areas, in the EU, Israel and parts of the Middle East, through qualified local pathology laboratories. The de-centralised testing enables timely result delivery and direct interaction between the laboratory pathologists and treating physicians. The analytical reproducibility, precision and robustness of Prosigna have been demonstrated. 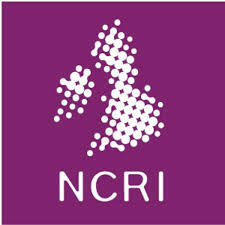 Moreover, it has been clinically validated in two independent prospectiveretrospective studies using >2,400 samples from post-menopausal patients enrolled in the Austrian Breast & Colorectal Cancer Study Group 8 (ABCSG 8) and Arimidex, Tamoxifen Alone or Combined (ATAC) trials (Level 1B Evidence). These validation studies show that Prosigna identifies a clinically relevant low-risk subgroup among both node-negative and node-positive patients with 1-3 involved lymph nodes. Moreover, the ROR score predicts risk of late distant recurrence as well as for high risk of local recurrence. Prosigna thus can offer clinically relevant information, which may help guide treatment decision-making in early breast cancer. Nadia Harbeck has received honoraria for lectures from NanoString and for consulting from Genomic Health. Rachel Wuerstlein has received honoraria forlectures from NanoString and Genomic Health. Karl Sotlar has received speakers’ honoraria and travel support from NanoString. The authors are grateful for the editorialassistance provided by NanoString. Prosigna is the only genomic test to identify the individual tumour’s intrinsic subtype according to the PAM50 signature. 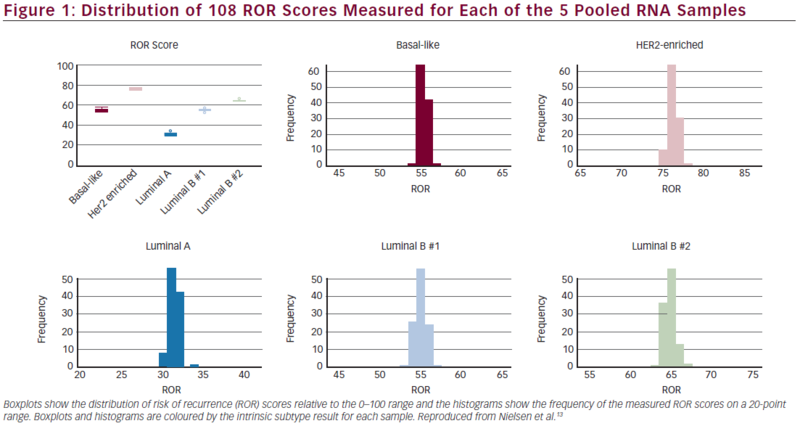 In addition to identification of the intrinsic subtype, Prosigna also provides an individualised score, the ROR, which estimates a patient’s probability of DR by weighting the intrinsic subtype correlations, a subset of proliferation genes and pathological tumour size as well as nodal status.4,14 The PAM50 intrinsic subtypes and the ROR classifier have been integral to the development of the Prosigna Breast Cancer Prognostic Gene Signature Assay, a US Food and Drug Administration (FDA) 510(k) cleared in vitro diagnostic assay that uses the gene-expression profile of the breast cancer cells to assess a patient’s risk of DR.
After the assay is performed on a tumour sample, a computational algorithm based on Pearson’s correlation compares the normalised 50 gene-expression profile of the patient sample to the prototypical expression profile of the intrinsic subtypes. The tumour sample is then assigned the subtype that shows the highest Pearson’s correlation. The algorithm also reports a ROR score on a 0–100 scale.15 This ROR score is correlated with the probability of DR at 10 years for postmenopausal women with ER-positive, early-stage breast cancer.14 The report provides a risk category (low, intermediate or high), which is based on the ROR and derived from the probability risk curves. ROR has been shown to discriminate between high- and low-risk groups in node-negative and node-positive tamoxifen-treated patients.14 Prosigna ROR and risk assignment takes into account patient nodal status. As nodal status is an independent risk factor, the node-positive population has a risk curve that is shifted towards higher risk compared with the node-negative population. Therefore, to maintain similar outcomes for the risk groups between node-negative and node-positive disease, the cut-off points used for risk assignment differ between node-negative and node-positive patients. 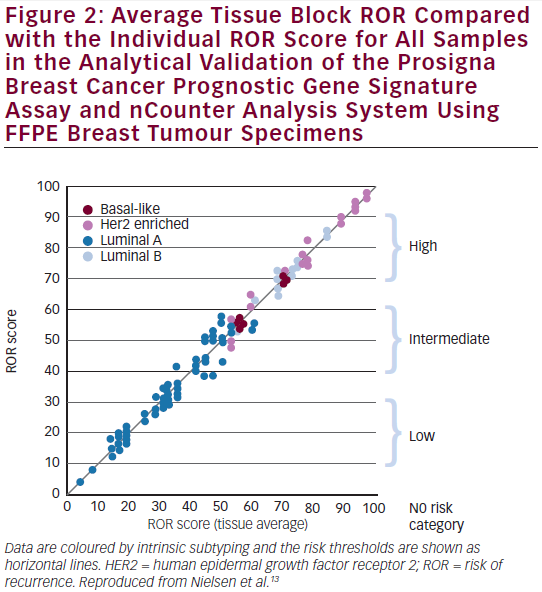 Following an independent pathology review at each site, the reproducibility was assessed by testing replicate tissue sections from 43 FFPE breast tumour blocks across the three sites and nCounter platforms.13,16 The calculated test results from the 43 tissues across all sites represented (see Figure 2) a wide range of ROR scores (94 units); all risk categories; and all four intrinsic subtypes.13,16 On average, the differences between the sites were minimal (<1 % of total variance). The variance components analysis resulted in a total standard deviation of 2.89 ROR units. The average concordances between sites were: 97 % for intrinsic subtype classifications and 90 % for risk classifications. Assessment of Robustness Non-tumour tissue was included in the test to evaluate interference and the robustness of the test to non-tumour tissue.13 The Prosigna test was robust against the inclusion of adjacent non-tumour tissue in the assay. 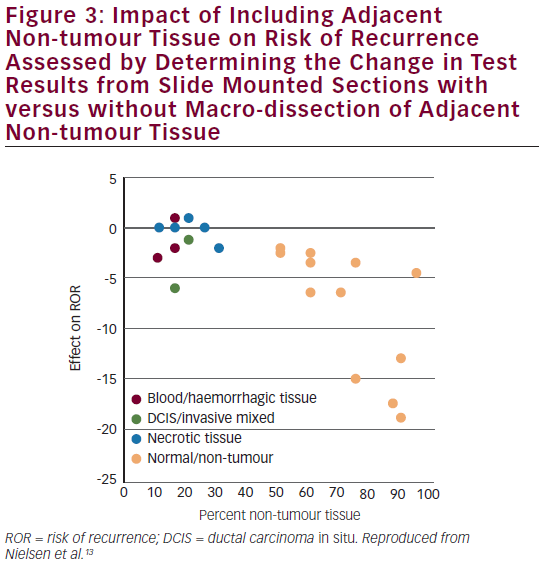 Results were stable in the presence of moderate amounts of surrounding non-tumour tissue (maximum 70 % by area) (see Figure 3). Results were also shown to be stable across the specified range of RNA input. These data demonstrate that the Prosigna assay is analytically reproducible, precise and robust, even when performed at multiple test sites and including all potential process variables. Together with the clinical validation, this supporting evidence for a decentralised test led to FDA clearance (510K) in September 2013. This differentiates the newgeneration Prosigna assay from other first-generation tests that are performed in a central laboratory. If an nCounter system is available at a site, the decentralised test enables pathologists to perform the assay locally that allows for direct access for patients and a fast turnaround time of results. negative, node-positive, HER2-negative and HER2-negative/nodenegative; more information was added by ROR than by Oncotype Dx® recurrence score (RS). Concordance indices in the HER2-negative/ node-negative subgroup were 0.670, and 0.769 for RS, and ROR, respectively. Furthermore, ROR displayed improved differentiation of intermediate- and higher-risk groups compared with RS. 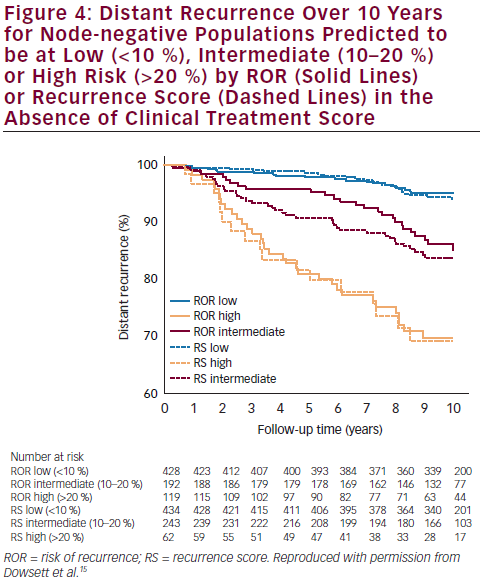 More patients were scored as high risk and fewer as intermediate risk by ROR than by RS (see Figure 4). Prosigna was further validated as a reliable prognostic indicator for DR-free survival (DRFS) in hormone receptor-positive, post-menopausal patients from the ABCSG 8 trial.17 ABCSG 8 was first designed to evaluate the clinical efficacy of tamoxifen versus anastrozole after 2 years of tamoxifen in >3,700 patients. A translational study of the ABCSG 8 was conducted with 1,478 FFPE blocks available. ABCSG 8 patients were postmenopausal women treated with adjuvant systemic endocrine therapy alone in the form of 5 years of tamoxifen or 2 years of tamoxifen and 3 years of anastrozole. Prosigna ROR scores significantly added prognostic value to the clinical predictor (p<0.0001) in all tested subgroups. Within all tested subgroups, significant and clinically relevant discrimination was demonstrated between low- and high-risk groups (see Figure 5). The Luminal A intrinsic subtype cohort had a significantly lower ROR at 10 years compared with Luminal B tumours (p<0.0001) (see Figure 6). The 10-year metastasis risk in the ROR low-risk category for all patients combined (i.e. node-positive and node-negative) was <3.5 %. risk of DR compared with the Luminal B subtype in patients with one positive node and in patients with two or three positive nodes. Adjuvant chemotherapy and endocrine therapy for early breast cancer have had a positive impact on outcomes;1 however, the annual rate of late recurrence is still >2 % for ≥15 years, even after 5 years of tamoxifen therapy.26 The value of three breast cancer assay scores in predicting the risk of DR has been assessed in years 5 to 10:27 the PAM50 gene signature, the Oncotype Dx® Breast Cancer Assay RS and the immunohistochemical marker (IHC4) score, were included. 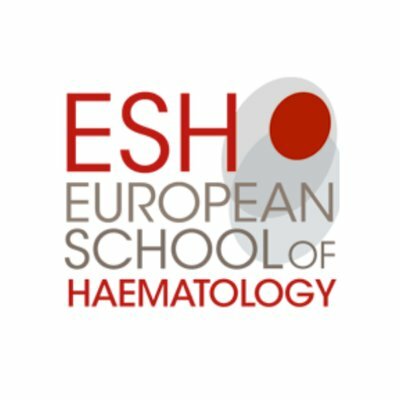 The IHC4 score, which may be subject to large inter- and intra-observer variability,28 was originally derived from a centralised IHC assessment of ERs, progesterone receptors (PR), HER2 and Ki67 expression in the TransATAC cohort. late DR (χ²=13.85; p<0.001) while IHC4 was marginally significant (χ²=3.89; p=0.05) and RS was not significant (χ²=2.23; p=0.1). The difference in DR rate between the low- and high-risk groups is approximately 7 % for all scores in years 0 to 5. However, in years 5 to 10, a greater difference between low- and high-risk groups is seen for the ROR score (15.1 %) compared with 5.4 % for RS and 9.8 % for the IHC4 score. 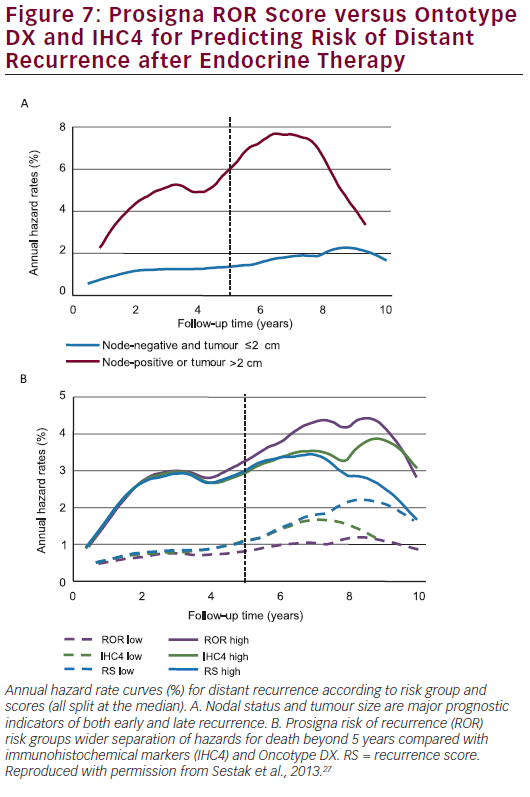 Figure 7A shows annual hazard rates for low-risk women (node-negative and tumour size ≤2 cm) versus high-risk women (node-positive or tumour size >2 cm) whereas Figure 7B shows annual hazard rate curves for IHC4, RS and ROR (cut-off point for all scores is the median). 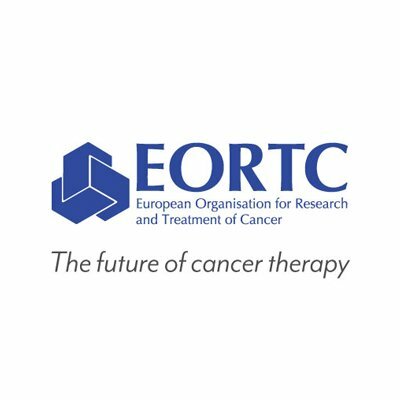 The ROR score may thus also be useful in identifying women who are at high risk of late recurrence and who may benefit from either more intensive treatment (chemotherapy) or extended endocrine treatment, beyond 5 years. 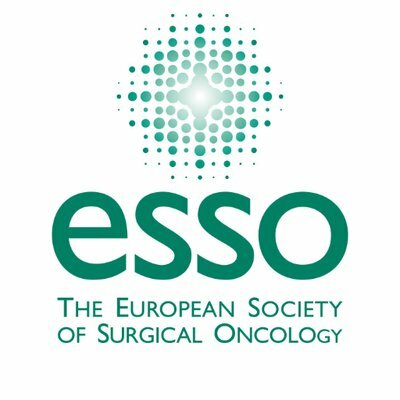 The PAM50 ROR score and intrinsic subtype have been demonstrated to be independent predictors of local recurrence-free survival (LRFS).30 Tumour blocks from 1,308 patients from the ABCSG 8 trial comparing tamoxifen versus tamoxifen following anastrozole post-surgery were analysed by the PAM50 assay. The Cox regression model revealed that the ROR score significantly predicted LRFS independent of nodal status, tumour size and age (p<0.0081). Patients assigned to the high-risk category (ROR ≥57) had a LRFS of 94.4 % whereas low-risk patients (ROR <57) showed a 98.4 % 10-year LRFS (p=0.0005). 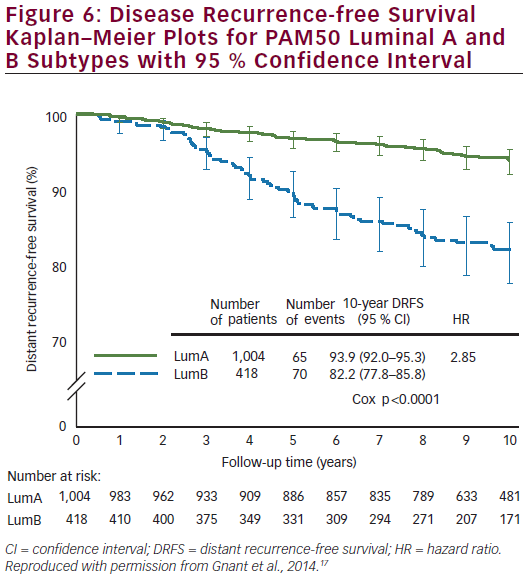 Biological subtype analysis also showed a significant difference in LRFS comparing Luminal A (98.1 % 10-year LRFS) and Luminal B cancer (95.9 % 10-year LRFS; p=0.022). There are three European decision impact (DI) studies: one (France; multicentre) in progress and two (Spain; GEICAM group;31 Germany; West German Study Group32) that have already been completed. The three studies aimed at recruiting 200 patients each and the protocols are identical. The aim is to examine whether the Prosigna test influences physician and patient adjuvant treatment selection beyond standard local IHC testing. A meta-analysis of the three studies is planned to yield a larger DI database. The Spanish GEICAM decision impact study showed that Prosigna indeed influenced adjuvanttherapy recommendations.31 Prosigna changed treatments in 20 % of patients. For 22 (11 %), the initial recommendation was changed from chemotherapy and hormonal therapy to hormonal therapy alone and for 18 (9 %), from hormonal therapy to chemotherapy and hormonal therapy. Further, Prosigna increased physician confidence in prognosis and in recommended treatments while patient anxiety was reduced. Initial results from the German DI Study indicate rather similar results with a change in treatment choice of 18.2 % after obtaining the Prosigna results.32 Final results of the German DI study will be reported by the end of 2015. An interim quality assurance analysis from the German DI study showing excellent reproducibility in the first 71 samples between two routine laboratories is depicted in Figure 8. The Prosigna ROR also identifies patients at high risk of local recurrence.30 Last but not least, DI evidence has provided additional data showing that the Prosigna ROR assay has clinical utility in the real-world setting. Its application seems to be associated with at least a 20 % change in treatment decisions. Additional ongoing DI studies will provide realworld data in various healthcare settings with regard to analytical validity, change of treatment decisions as well as health economic analyses. In view of its broad database in terms of prognostic estimation and intrinsic subtyping in post-menopausal patients, an open clinical question that needs to be addressed for the Prosigna assay is certainly its validation for pre-menopausal patients. Overall, the Prosigna assay may enable clinicians to make more informed treatment choices for women with endocrine responsive breast cancer by determining the intrinsic subtype as well as shortand long-term ROR. This may help to help identify women who may be spared adjuvant chemotherapy or who may benefit from extended adjuvant endocrine therapy. 1. Davies C, Godwin J, Gray R, et al., Relevance of breast cancer hormone receptors and other factors to the efficacy of adjuvant tamoxifen: patient-level meta-analysis of randomised trials, Lancet, 2011;378:771–84. 2. Peto R, Davies C, Godwin J, et al., Comparisons between different polychemotherapy regimens for early breast cancer: meta-analyses of long-term outcome among 100,000 women in 123 randomised trials, Lancet, 2012;379:432–44. 3. Dowsett M, Goldhirsch A, Hayes DF, et al., International Web-based consultation on priorities for translational breast cancer research, Breast Cancer Res, 2007;9:R81. 4. Parker JS, Mullins M, Cheang MC, et al., Supervised risk predictor of breast cancer based on intrinsic subtypes, J Clin Oncol, 2009;27:1160–7. 5. Comprehensive molecular portraits of human breast tumours, Nature, 2012;490:61–70. 6. Perou CM, Sorlie T, Eisen MB, et al., Molecular portraits of human breast tumours, Nature, 2000;406:747–52. 7. Sorlie T, Perou CM, Tibshirani R, et al., Gene expression patterns of breast carcinomas distinguish tumour subclasses with clinical implications, Proc Natl Acad Sci U S A, 2001;98:10869–74. 8. Hu Z, Fan C, Oh DS, et al., The molecular portraits of breast tumors are conserved across microarray platforms, BMC Genomics, 2006;7:96. 9. Fan C, Oh DS, Wessels L, et al., Concordance among geneexpression- based predictors for breast cancer, New Engl J Med, 2006;355:560–9. 10. 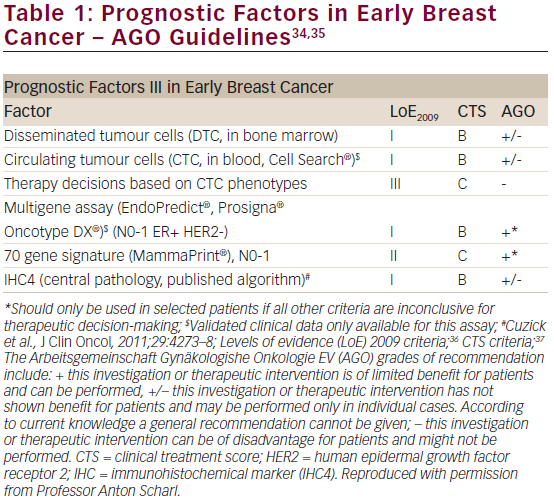 Goldhirsch A, Winer EP, Coates AS, et al., Personalizing the treatment of women with early breast cancer: highlights of the St Gallen International Expert Consensus on the Primary Therapy of Early Breast Cancer 2013, Ann Oncol, 2013;24:2206–23. 12. Prat A, Parker JS, Fan C, Perou CM, PAM50 assay and the three-gene model for identifying the major and clinically relevant molecular subtypes of breast cancer, Breast Cancer Res Treat, 2012;135:301–6. 13. Nielsen T, Wallden B, Schaper C, et al., Analytical validation of the PAM50-based Prosigna Breast Cancer Prognostic Gene Signature Assay and nCounter Analysis System using formalin-fixed paraffin-embedded breast tumour specimens, BMC Cancer, 2014;14:177. 14. Nielsen TO, Parker JS, Leung S, et al., A comparison of PAM50 intrinsic subtyping with immunohistochemistry and clinical prognostic factors in tamoxifen-treated estrogen receptorpositive breast cancer, Clin Cancer Res, 2010;16:5222–32. 15. 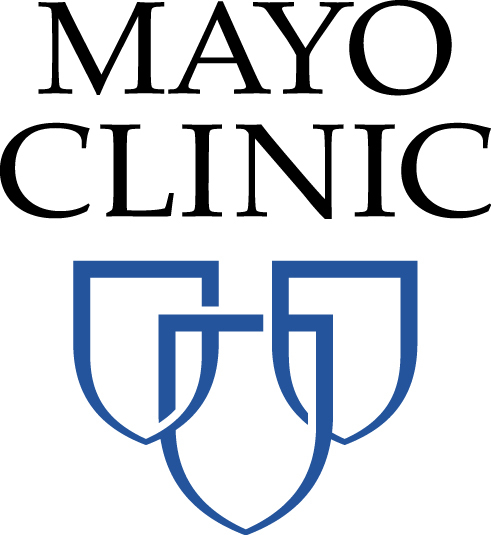 Dowsett M, Sestak I, Lopez-Knowles E, et al., Comparison of PAM50 risk of recurrence score with oncotype DX and IHC4 for predicting risk of distant recurrence after endocrine therapy, J Clin Oncol, 2013;31:2783–90. 16. Nielsen T, McDonald S, Kulkarni S, et al., Analytical reproducibility of the Breast Cancer Intrinsic Subtyping Test and nCounter® Analysis System using formalin-fixed paraffin embedded (FFPE) breast tumor specimens, USCAP Annual Meeting; 2–8 March 8, 2013; Baltimore, MD2013. 17. Gnant M, Filipits M, Greil R, et al., Predicting distant recurrence in receptor-positive breast cancer patients with limited clinicopathological risk: using the PAM50 Risk of Recurrence score in 1478 postmenopausal patients of the ABCSG-8 trial treated with adjuvant endocrine therapy alone, Ann Oncol, 2014;25:339–45. 18. Carlson JJ, Roth JA, The impact of the Oncotype Dx breast cancer assay in clinical practice: a systematic review and meta-analysis, Breast Cancer Res Treat, 2013;141:13–22. 19. Hofmann D, Nitz U, Gluz O, et al., WSG ADAPT – adjuvant dynamic marker-adjusted personalized therapy trial optimizing risk assessment and therapy response prediction in early breast cancer: study protocol for a prospective, multicenter, controlled, non-blinded, randomized, investigator initiated phase II/III trial, Trials, 2013;14:261. 20. 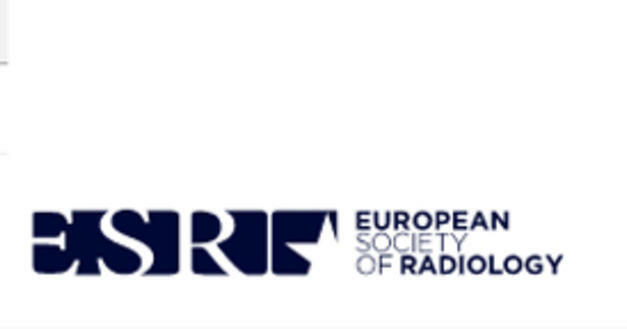 Goldhirsch A, Wood WC, Coates AS, et al., Strategies for subtypes – dealing with the diversity of breast cancer: highlights of the St. Gallen International Expert Consensus on the Primary Therapy of Early Breast Cancer 2011, Ann Oncol, 2011;22:1736–47. 21. Gnant M, Sestak I, Filipits M, et al., Identifying clinically relevant prognostic subgroups of postmenopausal women with node-positive hormone receptor positive early stage breast cancer treated with endocrine therapy: A combined analysis of ABCSG-8 and ATAC using the PAM50 risk of recurrence score and intrinsic subtype, Ann Oncol, 2015;26:1685–91. 22. 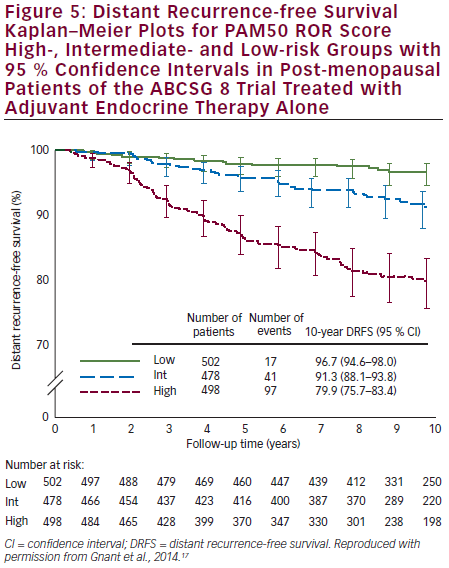 Davies C, Pan H, Godwin J, et al., Long-term effects of continuing adjuvant tamoxifen to 10 years versus stopping at 5 years after diagnosis of oestrogen receptor-positive breast cancer: ATLAS, a randomised trial, Lancet, 2013;381:805–16. 23. 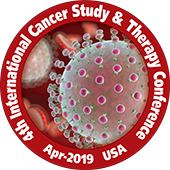 Goss PE, Ingle JN, Martino S, et al., Randomized trial of letrozole following tamoxifen as extended adjuvant therapy in receptor-positive breast cancer: updated findings from NCIC CTG MA.17, J Natl Cancer Inst, 2005;97:1262–71. 24. 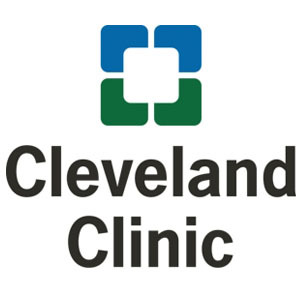 Jakesz R, Greil R, Gnant M, et al., Extended adjuvant therapy with anastrozole among postmenopausal breast cancer patients: results from the randomized Austrian Breast and Colorectal Cancer Study Group Trial 6a, J Natl Cancer Inst, 2007;99:1845–53. 25. Brewster AM, Hortobagyi GN, Broglio KR, et al., Residual risk of breast cancer recurrence 5 years after adjuvant therapy, J Natl Cancer Inst, 2008;100:1179–83. 26. Saphner T, Tormey DC, Gray R, Annual hazard rates of recurrence for breast cancer after primary therapy, J Clin Oncol, 1996;14:2738–46. 27. Sestak I, Dowsett M, Zabaglo L, et al., Factors predicting late recurrence for estrogen receptor-positive breast cancer, J Natl Cancer Inst, 2013;105:1504–11. 28. Brouckaert O, Laenen A, Vanderhaegen J, et al., Applying the 2011 St Gallen panel of prognostic markers on a large single hospital cohort of consecutively treated primary operable breast cancers, Ann Oncol, 2012;23:2578–84. 29. 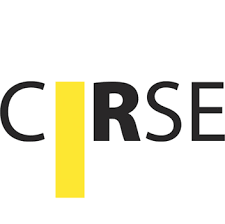 Filipits M, Nielsen TO, Rudas M, et al., The PAM50 risk-ofrecurrence score predicts risk for late distant recurrence after endocrine therapy in postmenopausal women with endocrine-responsive early breast cancer, Clin Cancer Res, 2014;20:1298–305. 30. Fitzal F, Filipits M, Fesl C, et al., Predicting local recurrence using PAM50 in postmenopausal endocrine responsive breast cancer patients, J Clin Oncol, 2014;32:5s, (suppl; abstr 1008). 31. 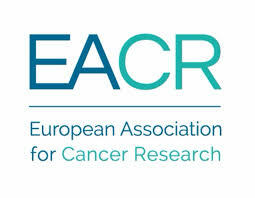 Martín M, González-Rivera M, Morales S, et al., Prospective study of the impact of the Prosigna assay on adjuvant clinical decision-making in unselected patients with estrogen receptor-positive, HER2-negative, node-negative early-stage breast cancer, Current Medical Research & Opinion, 2015. 32. 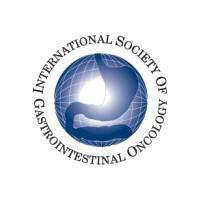 Wuerstlein RISK, Gluz O, Hofmann D, et al., Significance of prospective multicenter decision impact WSG-BCIST Study in postmenopausal ER+ HER2- N0 early breast cancer (EBC) for molecular testing for intrinsic subtype definition, J Clin Oncol, 2015;33:abstr 535). 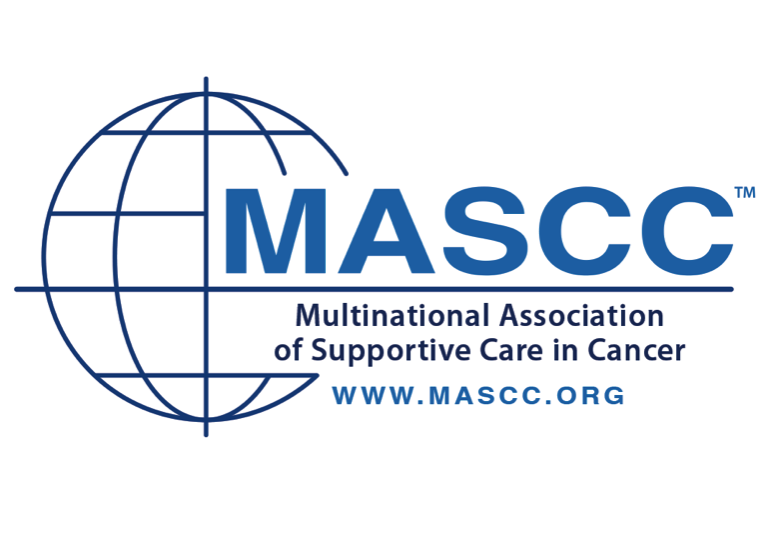 Presented at the American Society of Clinical Oncology (ASCO) Annual Meeting; 29 May to 2 June 2015; Chicago, IL, USA. 33. 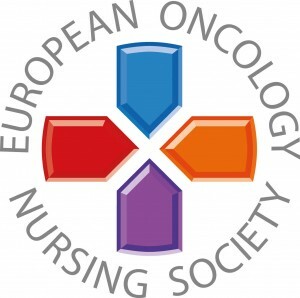 Coates AS, Winer EP, Goldhirsch A, et al., Tailoring therapies – improving the management of early breast cancer: St Gallen International Expert Consensus on the Primary Therapy of Early Breast Cancer 2015, Ann Oncol, 2015;26:1533–46. 34. 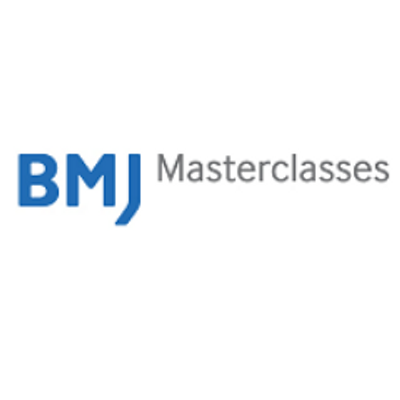 Diagnosis and Treatment of Patients with Primary and Metastatic Breast Cancer: AGO; 2014 [updated March 2014]. Available from: https://www.ago-online.de/en/guidelinesmamma/ march-2014/ (accessed 29 April 2015). 35. Liedtke C, Thill M, Hanf V, Schutz F, AGO Recommendations for the Diagnosis and Treatment of Patients with Early Breast Cancer: Update 2014, Breast Care (Basel), 2014;9:189–200. 36. Oxford Centre for Evidence-based Medicine – Levels of Evidence (March 2009) Oxford, UK 2009. 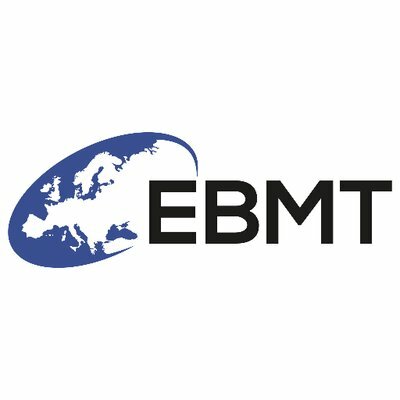 Available from: https://www.cebm.net/oxford-centre-evidence-basedmedicine- levels-evidence-march-2009/ (accessed 4 September 2015). 37. Simon RM, Paik S, Hayes DF, Use of archived specimens in evaluation of prognostic and predictive biomarkers, J Natl Cancer Inst, 2009;101:1446–52.